No mermaid party is complete without mermaid party games. 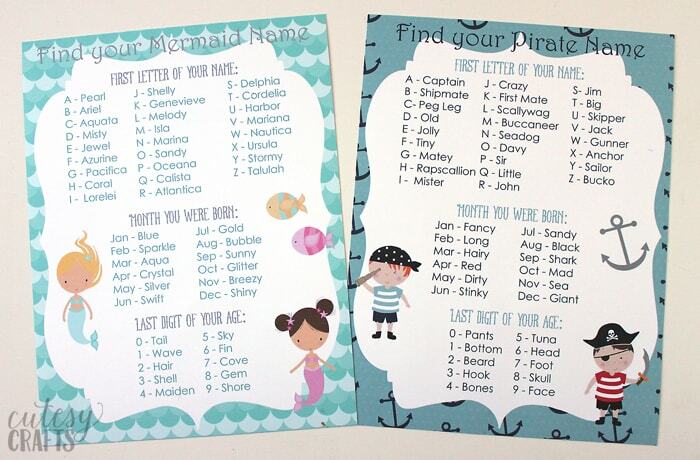 I created these mermaid and pirate names printables to display at Audrey’s mermaid party. Everyone got a sticky name tag and wrote their new name on it. Kids and grown-ups alike enjoyed this game, although I did have to go in and change some of the pirate names for the downloads. It seems that lots of names with the word “pants” or “bottom” could be taken the wrong way. Hahaha! 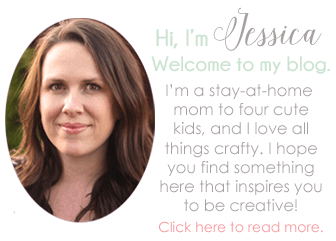 Get the free printables here. We sent the kids on a treasure hunt around the house. They had to start at octopus and work their way down the dotted line to the red X. They LOVED this game, and it was so cute to see them running all over the house to find the items. 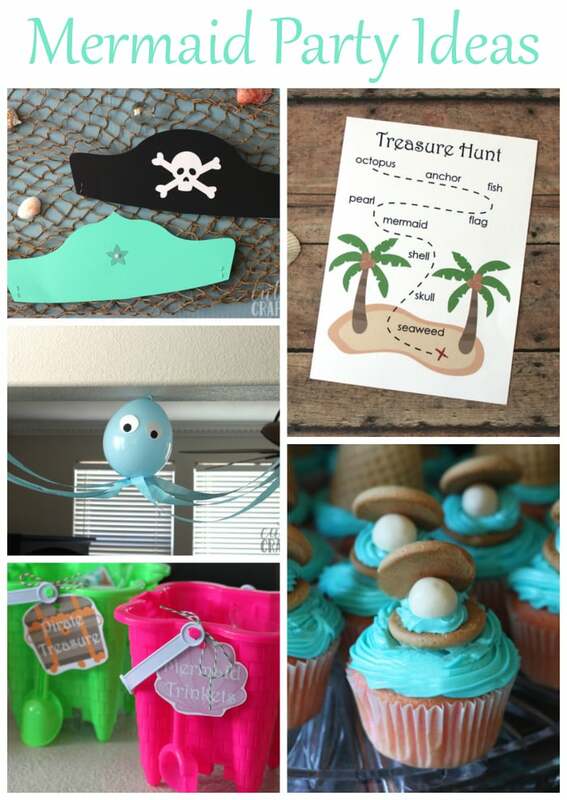 All of the items on the treasure hunt were part of the party decorations. This was the octopus. 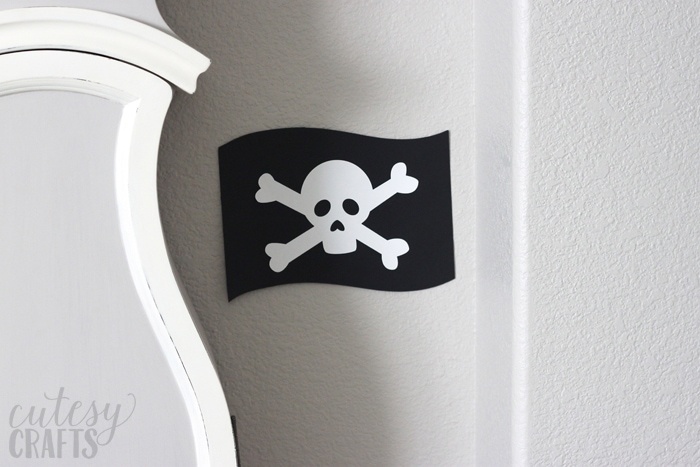 I made a little pirate flag and other paper cutouts that the kids found all around the house. Shells were on the table, and you can see the paper red X on the wall behind it. We set up the “treasure” on the ledge near the X. 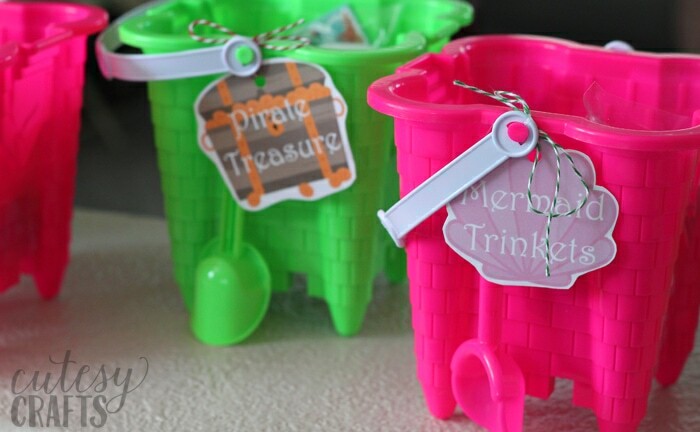 We put fish crackers, bubbles, plastic jewelry for the girls, and pirate eye patches for the boys in these buckets. When the kids make it through all the items on the map, they get their party favors. 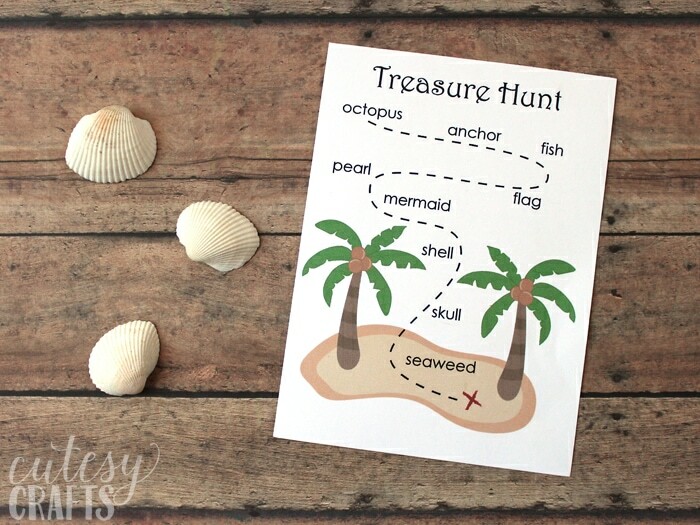 Get the printables for the maps, tags, and everything else for the mermaid party here. Such fun mermaid party games! 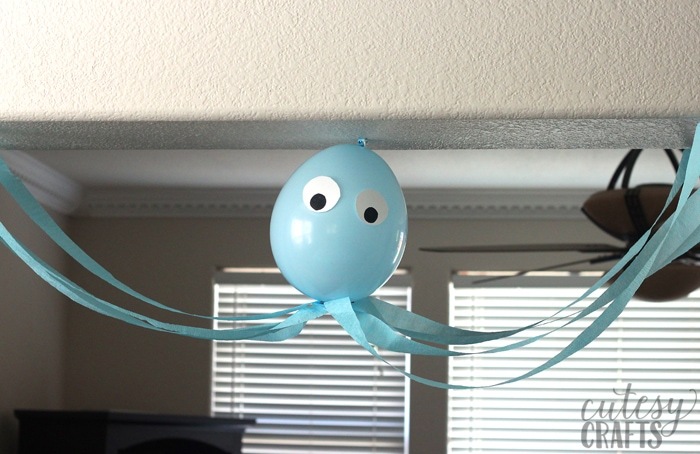 For more kids party ideas, go here. Graphics by poppymoondesign. 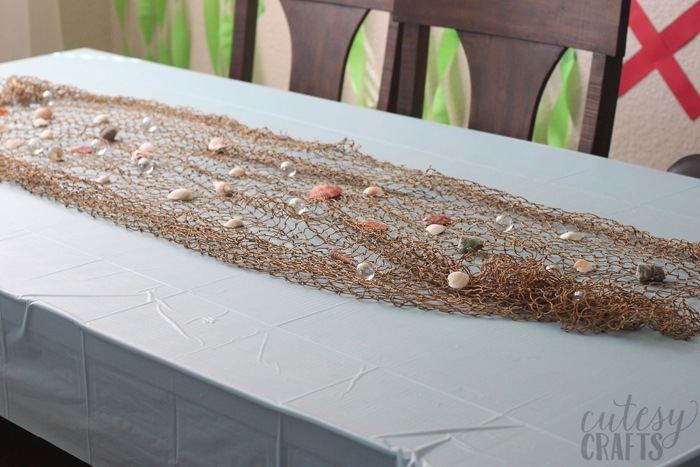 Make sure you also check out our other mermaid party ideas! Love mermaids? 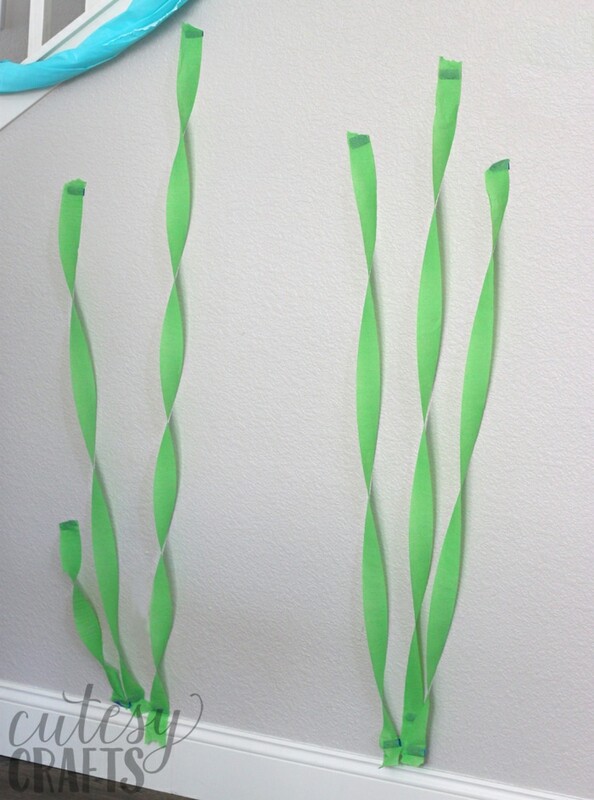 Make sure you also check out these 40+ adorable mermaid crafts!